It's been a rainy day today and I can’t think of a better look than something casual. 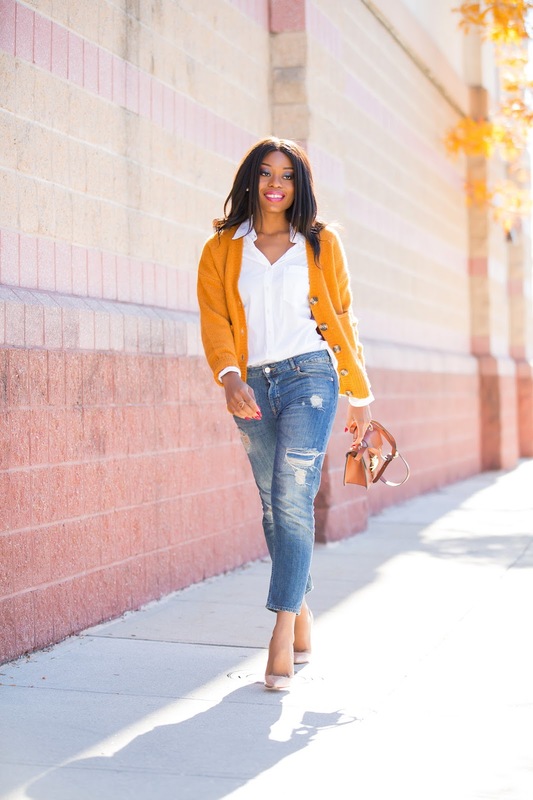 A pair of jeans, a shirt and a sweater equals a great casual look. 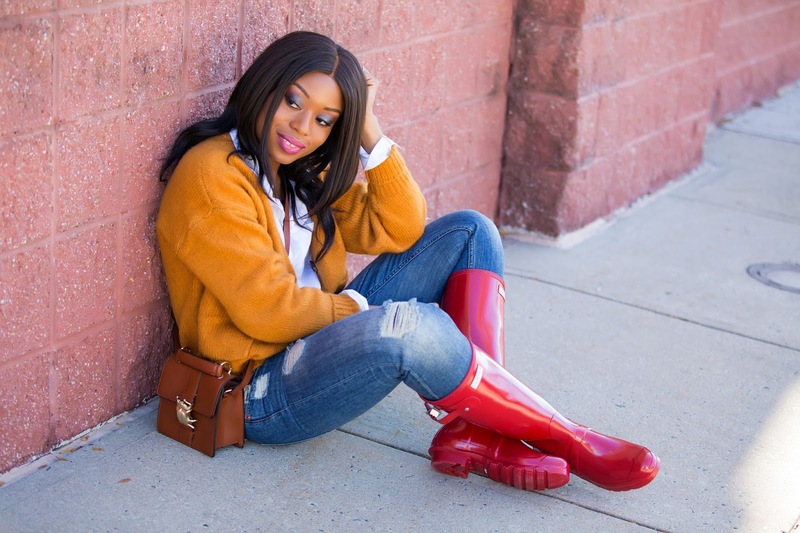 I styled the look on this post in two ways to showcase how you can style a pair of jeans for a day out or for a rainy day. 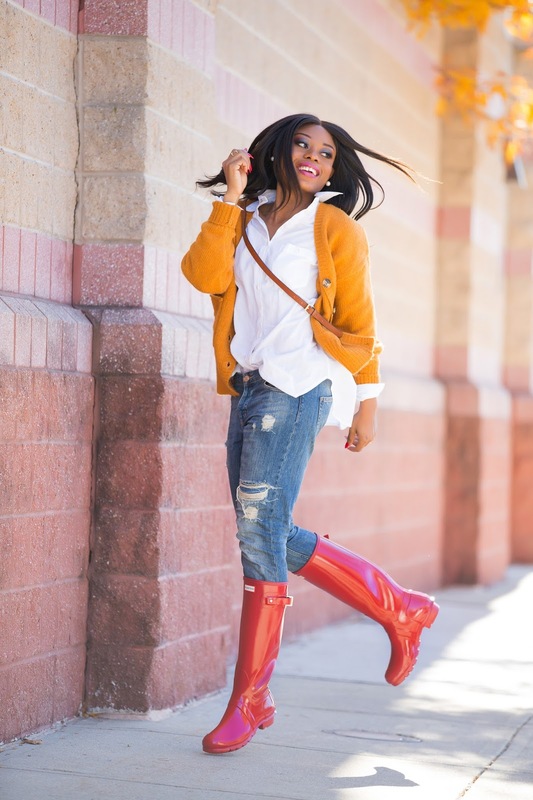 The rainy day look includes rubber hunters’ boots -amazing...definitely worth it and the original high gloss boots feels light and comfortable. Hey Stella, happy new year. 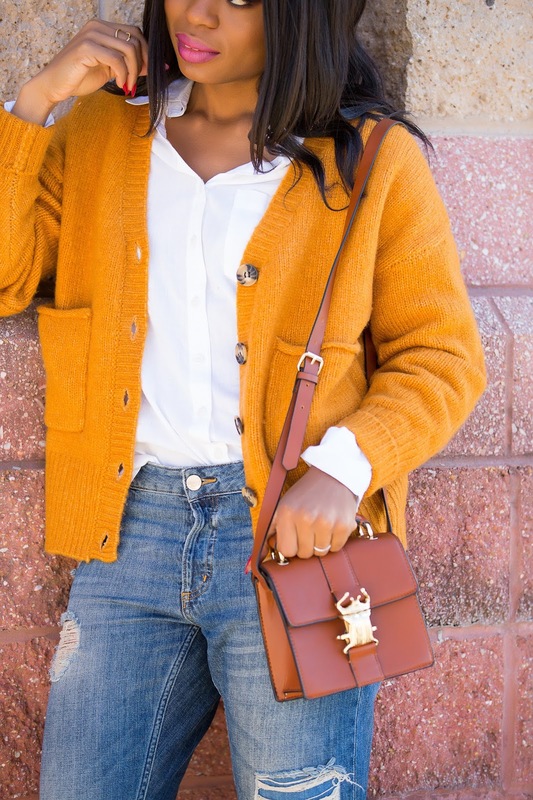 I love your casual look and I want to say your style is very inspiring. Keep up the good work. I love the yellow hue against your skin tone! Those jeans hit perfectly at your ankles!